Q: Do you know who has the keys to your house? A: If you have purchased a home recently or are unsure how many copies have been made for your home, it is important for you’re safety and security to rekey all the locks in your home. A: Rekeying a lock is described in other terms as changing the locks, re-pinning locks, re-tumbling locks, recoding locks, or changing the keys. All of these terms reflect the same idea, which is to take a lock and a working key and change the pins inside the lock to match up to a different key combination. Q: Is it cheaper to rekey my locks or change out the locks entirely? A: It is almost always cheaper to rekey your existing locks rather than installing new locks. When installing a new lock, the homeowner will incur the cost of the lock, the rekeying of the lock (if the lock needs to be keyed to other locks), and the installation of the lock. Q: I have purchased a knob or deadbolt; will you install this for me? A: Here at Quality Locksmith Service we sell service and install most any kind of residential hardware, even if you have purchased it on your own, we are more than happy to do the installation for you. A: As a consumer it can sometimes be difficult for you to find a reputable locksmith. In this day and age there is an ever increasing amount of “professional” locksmiths. It is important when searching for a locksmith to check if the company is bonded, insured, years of service, local, accreditations, and references. Quality Locksmith Service has been a local family business for over thirty years. We are members of the BBB and ALOA Locksmith Organization. Minnesota does not require locksmiths to be licensed, but we are bonded and fully insured. It is our goal to give our customers the best service possible with up front pricing, competitive rates, professional, prompt, honest, and reliable service. Q: Is it necessary to have a deadbolt on the perimeter door of my house or is a doorknob sufficient? A: Although a locking doorknob does provide some security, a properly installed deadbolt provides a much greater level of security than a stand alone doorknob. Q: The key for my doorknob or deadbolt spins around continuously and does not operate the lock. What is the problem? A: When this type of problem occurs, it usually means that the lockset is worn, stripped out, or the tailpiece is broken. Sometimes the lock can be repaired, but if it cannot be repaired, then one of our trained technicians can supply and install a new lockset. Q: I am locked out of my house, how fast can you get here and what is the cost to let me in my house? A: Quality Locksmith Service is usually able to have a professional trained locksmith to your home in less than one half of an hour. The cost to unlock the house is $20 with the service call fee starting at $45. 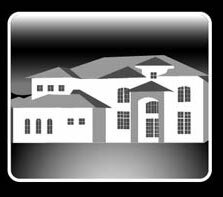 Service call fees vary depending on the location of your home. Please give us a call to get exact, up front and total pricing. A: Wiggling the key in the lock to get it to operate can be caused by a worn lock, or an improperly cut key. This can be fixed by re-cutting the keys or by rekeying the lock cylinder. Q: Someone broke into my house. What do I need to do to increase the security? A: The security of your doors can be increased by adding deadbolts and/or eight inch heavy-duty strike plates. The addition of high security deadbolts will also increase the security of your home. Q: I lost the keys to my house; what do I do? A: We can send a qualified technician to your home to originate a duplicate key or rekey all of the locks to new keys. Q: Can a locksmith cut a key from a number? A: Yes, most residential house keys have a 5-6 digit number stamped on the key. This number is associated with he lock cylinder coding. We can plug that number into a machine and originate a factory cut machine. CALL TODAY FOR MORE INFORMATION OR A FREE QUOTE.